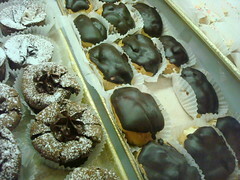 Until this month, eating an éclair was a matter of walking down to Le Panier and grabbing one of the delectable confections. But all of this changed with our most recent Daring Bakers Challenge (suggested by Meeta and Tony) which was to make Pierre Hermé’s éclairs. Now, admittedly we haven't made éclairs before but this recipe seemed like rather a quirky one (check it out here). What is an éclair? To those who may have grown up eating the version peddled at Dunkin' Donuts, you've been living a lie. That is what would technically be referred to as a "long john"--basically a doughnut dressed up like an éclair. Not that we'd turn our nose if offered a box of them. 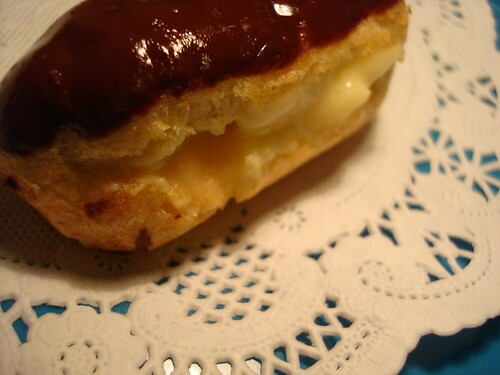 Likewise those of you who have sampled the "eclair" by Cadbury and Co. are also not eating the French pastry--these confections are a caramel coating around a chocolate center. 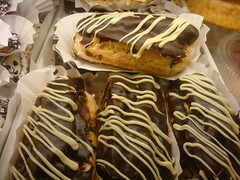 "long, thin pastry made with choux pastry filled with a cream and topped with icing. The dough, which is the same as that used for profiterole, is piped into an oblong shape with a pastry bag and baked until it is crisp and hollow inside. Once cool, the pastry then is filled with...pastry cream (crème pâtissière), custard or whipped cream, and topped with fondant icing." Where do they come from? 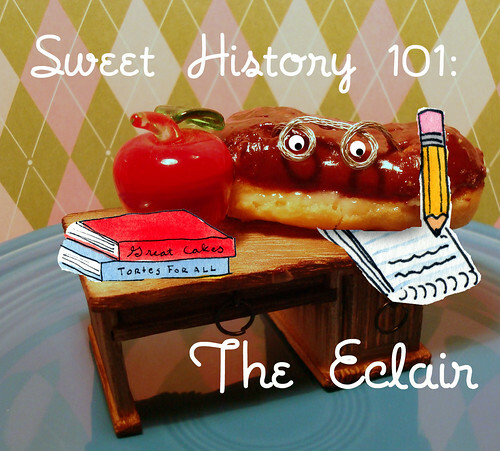 Like a sweet mirage, the eclair's origins are hazy. 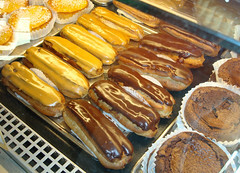 According to foodtimeline.org, "The food history encyclopedias (including the Larousse Gastronomique) and reference books all describe eclairs but provide little if any details regarding their origin. 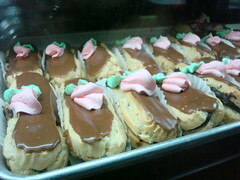 This probably means the eclair is a product of food evolution. There is some conjecture that perhaps Antonin Carême (1784-1833), a famous pastry chef for French royalty might have created something akin to éclairs." But wherever they may have come from, they caught on fast. They'd jumped the pond by 1884, garnering a writeup and recipe in the Boston Cooking School Cook Book. You can find the original American recipe here. Why are they called "eclairs"? 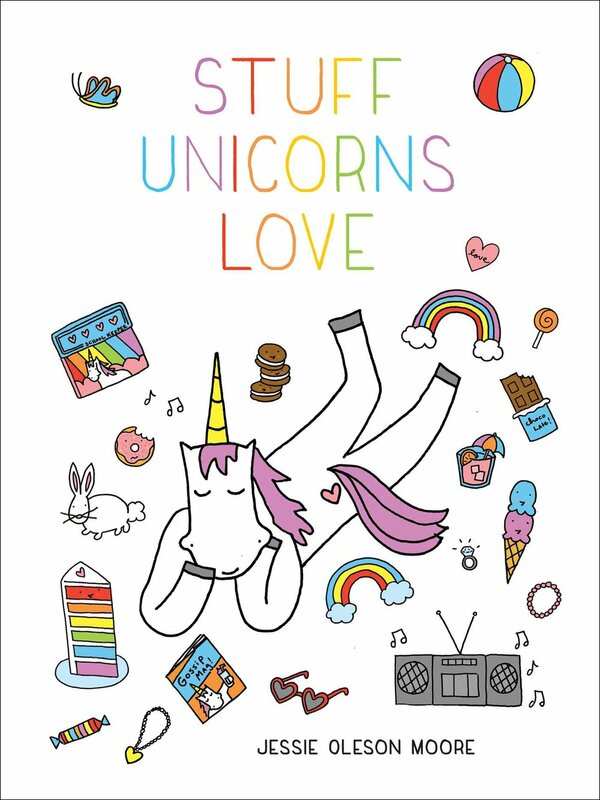 : Like the riddle about the Tootsie Pop, the world may never know. 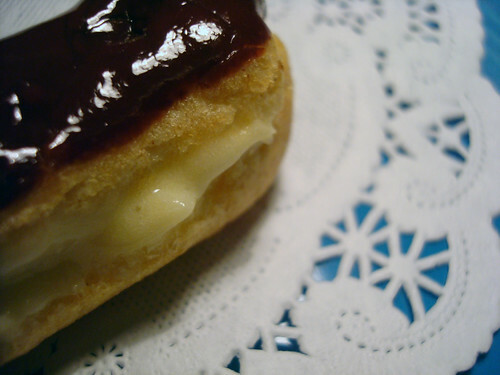 In An A-Z of Food and Drink, John Ayto muses that "The primary meaning of eclair in French is 'lightning', and one (not very convincing) explanation advanced for its application to these cream-filled choux-pastry temptations is that it was suggested by the light gleaming from their coating of fondant icing". Well, John might not be impressed, but we rather like the Frenchy, film-noir image that gives us--the film's hero, shot in dark, moody tones, walks into a bakery, and upon encountering the eclair for the first time, is blinded by the flash of its glossy veneer, and then completely struck by that first taste. Enough already, how did they taste? : Full disclosure? We didn't think that these were the tastiest of recipes for the first-time éclairmakers--they tasted a little too eggy for our liking, our custard was maybe a little runny. But, they say Hermé is the best (and we believe them), so it's exceedingly possible the fault was on our end. Only one way to find out--you can check out all of the entries at daringbakersblogroll.blogspot.com. We think that this website did a wonderful job on them--and the recipe is posted there too!